We’re not a Metal or Punk band, but in our never-ending city tour, we have played our share of dives; low-down, rats in the cellar, urinal the size of a terminal, stale beer and urine bars. We’ve also found ourselves in musty galleries, haunted old buildings, echoey, winding hallways. Or on the lakefront; wind whipping, big waves crashing over the rocks trying to steal our thunder. Or in the middle of a cornfield in rural Wisconsin; large, green cornstalks arrayed around us like silent, judging, other-worldly spectators. 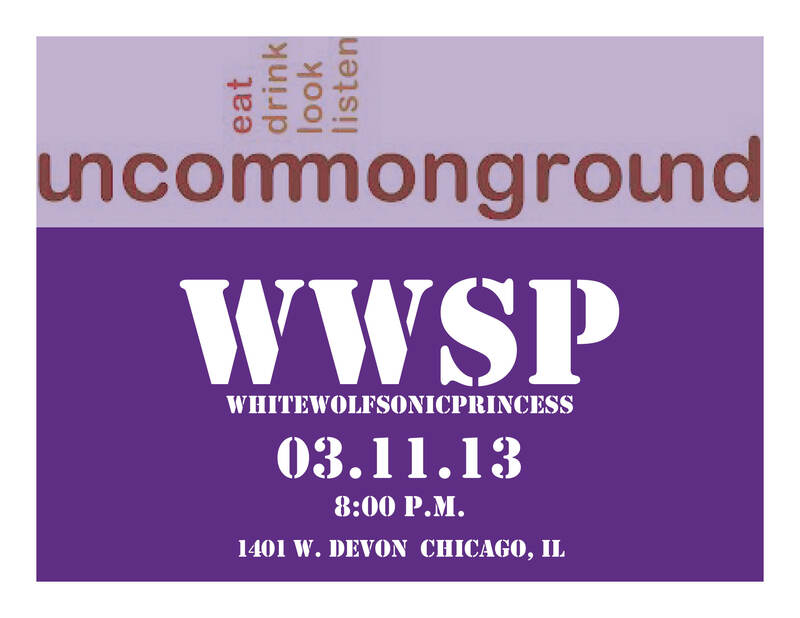 Last Monday we played at a pretty classy joint called Uncommon Ground on Devon in Chicago. Excellent food and drinks. Nice, warm room. Lots of wood and brick. A small stage. Good sound. It was a treat for some of the fans who have followed us down other rabbit holes. We had two special guests for this show: Douglas Johnson on Clevinger Bass and Maria Storm on Violin. It was a very big sound for an intimate room. Douglas is our secret weapon – he is a sonic alchemist; sometimes the sound he conjures is melodic, sometimes it’s spooky & noisy, it’s always something unexpected and cool. And Maria is a classically-trained violinist who brings energy & passion, a joyful fire, to our songs with beautiful and enchanting improvisations. It was our first show with Maria, what a great debut!